Cardalis 2.5mg/20mg Tablets are used in the treatment of congestive heart failure in dogs. 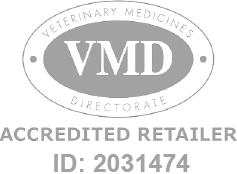 Cardalis Tablets - 2.5mg/20mg is a Prescription Only Veterinary Medicine and by law requires a prescription from your vet. Cardalis 2.5mg/20mg Tablets are used in the treatment of congestive heart failure in dogs. The beef-flavoured tablets are rapidly absorbed, lowering the blood pressure and loading pressure on the heart by reducing the constriction of both arteries and the veins. By keeping the blood vessels open, Cardalis also prevents thickening, fibrosis of blood vessel walls, accumulation of fluid, and stiffening of the heart muscle. When given as directed by your vet, the active ingredient, leads to significant extensions of the life span of dogs and helps to prevent some changes to the heart's anatomy, which often occur in cases of heart failure. Improvements are also noted in clinical signs, such as the reduction of coughing and breathlessness, leading to a better quality of life for your dog. Cardalis Tablets are manufactured by Ceva Animal Health and developed specifically for dogs. As such, they must never be used in other animals.